Agsafe is a not-for-profit membership organization delivering a number of product stewardship programs for the safe and responsible storage, distribution, use and disposal of agricultural and veterinary chemicals. 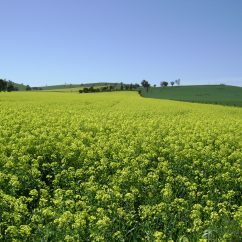 This organisation has been established to develop and put in place stewardship programs that help to reduce and manage waste for Australia’s all-important agricultural sector. The AHA is mouthpiece for the animal health industry in Australia and represents the interests of registrants, manufacturers and formulators of animal health products. Representing over 560 councils across the nation, the ALGA is the communication outlet for local governments country-wide. CropLife Australia is both the voice and advocate of the plant science industry in Australia. The NFF is the peak national body representing farmers and agriculture across Australia. Boasting more than three decades of experience, the VMDA is the primary voice of the Australian animal health industry. Toxfree provides a waste collection and disposal service, with a strong emphasis on recycling and resource recovery.